SecuritySolutionsWatch.com: Thank you for joining us today, Wayne. Before discussing Quantum solutions in greater detail, please tell us about your background. 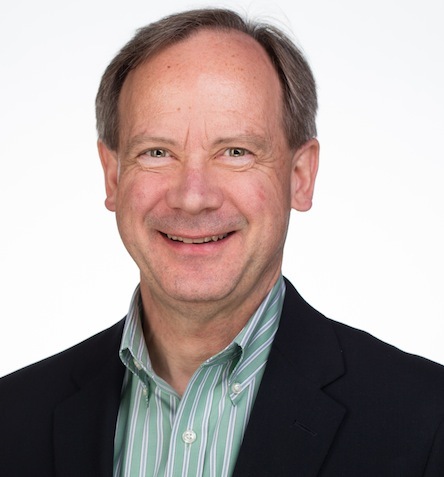 Wayne Arvidson: I got into security in the mid-90s, starting with national security applications, which evolved into solutions as the industry moved into an IP-based security model. Prior to Quantum, when I was with ATTO Technology, we made customized products specifically for the security industry doing write-optimization and chain of custody applications at a hardware level. Being involved in technology that helps people in a physical sense is very rewarding. This industry is about keeping people and property safe, and what we’re doing leads to very tangible benefits for society. There’s satisfaction in that, similar to the satisfaction that draws some people to law enforcement or the military. I started at SGI — the leader in video and graphics-based computing — and the defense and intelligence agency used our platform to develop advanced solutions that provided information to keep troops safe. As resolutions improved it produced giant data sets and data management became a challenge. I was interested because I could see it getting more complex and more real-time, in an industry that was on the cutting edge. SecuritySolutionsWatch.com: One will read on Quantum.com that, "Quantum is a leading expert in scale-out storage, archive and data protection. The company’s data management platform and tiered storage approach provide a unique combination of high performance, low-cost capacity and easy access that enables security and law enforcement professionals to address the challenges created by more cameras, higher resolutions, and increasingly sophisticated analytics." Please give us an overview of Quantum Products & Solutions. 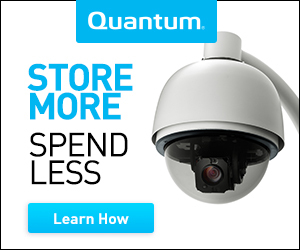 Wayne Arvidson: Quantum has a broad range of storage solutions for surveillance infrastructures ranging from 10’s to 10’s of thousands of cameras. For smaller scale environments, the products in our Xcellis Application Director product line offer storage servers that provide a simple-to-manage foundation. End users can scale into enterprise level storage requirements with the addition of our StorNext file system, which is a multi-tier storage platform that automatically migrates video to the most cost-efficient tiers of storage based on various policy requirements defined by the user. Security environments can utilize high-performance disk storage with QXS, file-based tape with our Scalar Libraries, or FlexTier for cloud. SecuritySolutionsWatch.com: We understand that Quantum recently announced the availability of the Xcellis Application Director E, a new model in the Xcellis Application Director product line that operates as a server for smaller-scale camera environments. Care to elaborate? Wayne Arvidson: Xcellis Application Director E is a cost-effective video server that is ideal for entry-level security and surveillance environments ranging from 10 to 25 cameras, and fulfills storage requirements from 18TB to 64TB (raw). The addition of Xcellis Application Director E extends Quantum’s product portfolio for video surveillance infrastructures to scale from 10’s to 10’s of thousands of cameras and allows Quantum to expand its footprint in all size accounts. For some customers, it will also serve well as an introduction to our wide range of solutions with security and surveillance integrators and distributors. SecuritySolutionsWatch.com: Quantum’s 36-year track record with more than 100,000 customers in both the public and private sector is truly impressive. Can we talk about some success stories? Wayne Arvidson: Eastland Shopping Centre is a great story of transformation that I think perfectly embodies some of the trends in video surveillance and storage. Eastland is a major shopping center in Australia that set out to upgrade their surveillance system with better imagery and was soon overwhelmed by the massive amount of data that needed to be captured, analyzed and stored. They wanted to keep people safer, but they also wanted to create value for their tenants in the facility, and they did it by being the host for analytics in the new facility. This is the new model. They brought in a systems integrator, PMT, and had initially decided on a different solution but then recognized the differentiation and value we bring. The resulting solution is a combination of open systems offerings from Axis Communications, Milestone Systems and Quantum. The new system provides the coverage Eastland needs, supports enhanced analytics, and fits neatly into the shopping center’s existing data center—all within a tight budget. There have been some more recent installations that are too early in their implementation to discuss – a major name brand automotive manufacturer, and an innovative solar panel manufacturer – who use Quantum as part of their logistics system to monitor their production lines. It’s pretty cool stuff. SecuritySolutionsWatch.com: We enjoyed the Quantum video here. Please tell us a bit about the journey that Quantum customers take with you. In today’s fast-paced IoT & security environments, what is your perspective, Wayne, regarding the unique value proposition that Quantum delivers to your customers? Wayne Arvidson: There are three key things about Quantum’s approach to video surveillance storage that set us apart in the market and bring unique value to our customers. First: Performance matters in a video-based file system. Quantum’s file system is specifically designed to handle video-based data and is well-suited to the high resolutions, increased camera and sensor counts, and real-time analytics that are increasingly prevalent in a modern surveillance infrastructure. Second: Quantum’s multi-tier storage solution delivers the total capacity more cost effectively Our approach strikes the ideal balance between performance, capacity, and cost within each tier. This is a highly scalable design that can easily grow with our customers’ requirements. As a result of this approach, more project budget is available for the other tools needed to accomplish a mission. Third: Our system is designed to be as easy to access and manage as a document on a C: drive. It is important that users be able to access information when it is needed, no matter what tier of storage it is on, minimizing intervention from the IT department. This approach helps to keep security and law enforcement professionals focused on their mission of protecting people and property, rather than worrying about managing data. SecuritySolutionsWatch.com: Quantum’s partner ecosystem which include 3VR, Aimetis, Axis Communications, Axxonsoft, Genetec, ISS, Milestone Systems, OnSSI, and Panasonic Canada just to name a few speaks volumes about Quantum’s positioning. Please tell us more about Quantum’s partnerships? Wayne Arvidson: Developing our video surveillance and security partner ecosystem has been a top priority for us, and we’ve been very aggressive about developing storage solutions that are optimized for the surveillance market. We don’t simply qualify our solutions with products – we work with partners to improve the code on both sides with extensive testing to see how it works and help it work better together. As a result of these partnerships, we have developed what I believe are truly best-of-breed solutions for a wide range of implementations. Recently Axis Communications named Quantum its Technology Partner of the Year – a great testament to the folks working to optimize our offerings. SecuritySolutionsWatch.com: What about Quantum Support? Wayne Arvidson:For more than 30 years, Quantum has met the storage needs of customers in over 125 countries. From Fortune 100 companies to emerging businesses, we’ve provided highly reliable solutions backed by a world-class service and support organization. We tools that help our channel partners design optimized solutions for end users, to help them make better use of storage. SecuritySolutionsWatch.com: Any awards or honorable mentions for the Quantum brand that you’d care to highlight? SecuritySolutionsWatch.com: Thank you again for joining us today, Wayne. Are there any other subjects you’d like to cover? Wayne Arvidson: Performance requirements for surveillance storage are more important than ever as we’re working on larger data sets to derive automated, real time results. Storing and managing that data puts significant cost pressures on the infrastructure, but leveraging multiple storage technologies can enable more surveillance implementations to derive business value from the data, to transform the cost of surveillance into an investment that yields returns. More systems are becoming integrated, and are utilizing the same video-based data. That data now has different requirements for accessibility and usability than the old single-use, closed systems of the past. All of these factors require security professionals to rethink their surveillance architectures and the role each component plays in the equation. Innovative security and storage companies today are providing the foundation support tomorrow’s surveillance capabilities by looking at security and video-based data from the lens of what is possible, not what has been, and storage cannot be treated as an afterthought. Our task is to help educate the surveillance industry on how storage can become the foundation for building the security infrastructures of the future.